Responsibility: A person after obtaining the freedom of speech tends to become responsible and is also aware of the liabilities. In addition, the power transforms the society making it more progressive with gradual evolution. It is an amazing option to express the view however racism and offending speech should be prohibited by the government in social media. Improvement of the self-confidence: People who are suppressed suffer from low self esteem and are incapable of taking decisions. Government around the world should encourage the common man to express dissent verbally as it makes the democracy vibrant. It plays a very important role in opposing the rules that are anti-people and only aid the rich. 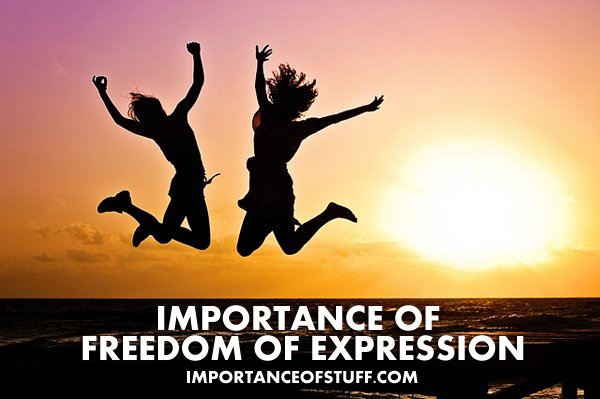 Innovation: Freedom of expression ensures the promotion of the spirit of innovation. Countries such as US and UK provide the amenable environment to people so that they can think freely and create new products as well as services. Care should be taken by the various communities that fascism is not promoted in the guise of freedom. Development of nation: Freedom of expression is instrumental in facilitating the communication channel between the government and public. An autocratic dictator may never be able to understand the problems of the common individuals. Prior to implementing the social scheme or the plan, the political leadership can take the feedback of the people to make changes in their social and economic lives. Democratic countries can easily manage the dissent as they provide an outlet in the form of free speech. If the freedom is curbed, it can give rise to armed agitations that will not only harm the nation abut also destroy the social structure. Vibrant media: If freedom of expression is truly implemented in a country, it can lead to a creation of powerful media capable of formulating the public opinion. Media is essential to voice the grievance of general public compelling the government to take decisions in their interest. Authorities can also use media to disseminate positive information about the strategic projects they wish to complete. Nonviolent protests: A country with freedom of expression will rarely experience civil war or an armed conflict because the problems of the society can be dealt in a free and transparent manner. Nonviolence is the primary tool in the hands of the public to bring in far-reaching changes. One of the most important advantages of the freedom of speech is that it helps to bring in peaceful changes without muzzling the government. People can mobilize support and protest on the street if their demands are justified and valid.